If you’re using social media outlets for your business, I bet that you are always on the hunt for the “magic formula” to creating the most engaging social media posts possible. As businesses, you want to capture the attention of your followers and get them to ‘like’, ‘tweet’, ‘pin’ and ‘share’ your post with everyone! Sadly, there isn’t a “magic formula” of variables you need to have to ensure your post will be engaging. Each social media network operates a little differently, and every business has its own, unique customers with individual tastes and preferences. One thing we can offer you though, are a couple of guidelines that can help you craft the best social media updates and posts possible for each social media network – Facebook, Twitter, Pinterest, and Google+. These basic tips will help you create more engaging posts and updates for your followers. Don’t be a Debbie Downer. Customers engage more with positive brands. Post a status that will help inspire and excite your followers. Include links to your website. Shorten your URL using bit.ly, which now allows you to edit the characters at the end of a link and gives you analytics on clicks. This will help your link stand out and increase click-throughs. Images can help you capture your customers’ attention and encourage them to share your content among their friends. It can be as simple as giving them a preview of a new product to entice them to come in to the store or visit your website. Simply posting a status isn’t enough. Part of what makes social media great is the instant two-way communication. Make sure you are engaging and building relationships with your fans through conversational dialogue when they comment on your posts. Don’t forget to be mobile friendly. Almost everyone uses their mobile phones now, for everything, so make sure the content you post can be seen on mobile devices. In today’s connected world, customers expect you to respond past the 8-5 workday. Be sure to post when you audience is most likely to engage, which might be during nonworking hours. Ask a question, give insights, and post facts and figures to capture your followers’ attention, and encourage a retweet. Use mentions to encourage influencers to engage with your business. This will help build your online creditability and online Klout. Try to be as grammatically correct as you can. With 140 characters we know it’s sometimes a challenge to get your message across, but avoid abbreviations and use capital letters in the correct places. Establish yourself as gatekeeper of great information and retweet relevant information to your followers. Also, don’t forget to thank people who retweet you! Bit.ly links generate more retweets than regular URLs. So don’t forget to shorten all URLs you tweet. Images shared by brands without human faces are repined 23% more times. Try to keep your background under 40% of the entire image. When background is above that repins drop by 25-50%. Keep your pins colorful! Pins with multiple dominate colors garner 3x more repins. By using a 50% color saturation on your images you can increase your repin rate by up to 4x. Tag brands and people that are relevant to your post. This allows for you post to get more exposure and increased engagement. Hashtags help increase your audience size by allowing your content to be found easily. It’s a great way to not only meet people but for other people to find your post as well. Using bright, full sized images helps capture your viewers’ attention and increase the probability of +1’s. 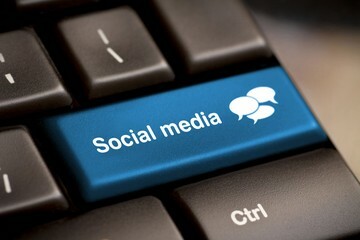 Just like with Facebook and Twitter, you have to take the time to reply to everyone who comments and shares your posts. You have to open the lines of communication so users keep coming back to your posts. With all social media networks you must remember to always keep in mind what your followers want, and strive to post information that benefits them. Social media can be a great asset to every business, but you have to invest the time to do it right. Are You Missing Out on Social Media Monitoring?